Push my way? a revelation in a deram. 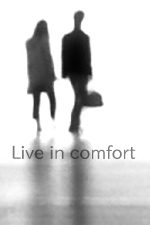 ...Live in comfort. Copyright (C) 2009 Just you and me. All rights reserved Photo by Yoshiaki.